A woman very passionate about trees in Tampa cut her hair off during a council meeting on Friday to prove a point. TAMPA, Fla. — Most activists use signs, protests or petitions to make a statement, but sometimes you have to get creative to make a statement. 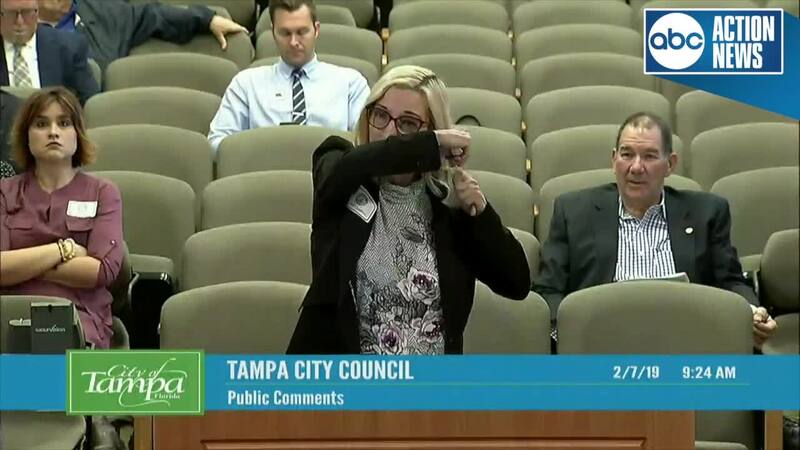 One woman advocating for trees during a Tampa City Council meeting decided to cut straight to the point — literally. Cinzia Duncan is a tree activist and she wanted to make sure the Tampa City Council understood her point on cutting down trees. So, she grabbed a pair of scissors and chopped off a chunk her own hair. While holding the chunk in her hand, Duncan went on to explain that once you cut your hair you can't put it back, it has to grow — just like trees. Trees just take much longer. Her shocking display worked. Her proposal was approved after a 6-1 vote by Tampa City Council.